BUT. I HAD to use the target she drew for *me*. I'll try not to spam y'all with a lot of shooting stuff, but this was too funny to not share. :lol: Just...be aware of what's going on, OK? And take stock.....you might need to change your thinking on a few things. Not just religious, either - but please, take a step back and take a good, long look at what's actually going on in the world. Because it"s not pretty out there. When DH was refurbishing one of his almost 100 year old sniper rifles (his hobby) I asked him what the difference in power between this old rifle and a new sniper rifle. Apparently, nothing. The new ones are quieter. That's something to make you think, considering one of his rifles has a stamp on it from Tsarist Russia. If you wish to continue thinking, you might note that getting a collector's license is quite simple - and allows you to buy online. However, my room mate asked me yesterday if I'd take him shooting. He's afraid of guns, but wants to go shooting at least once. 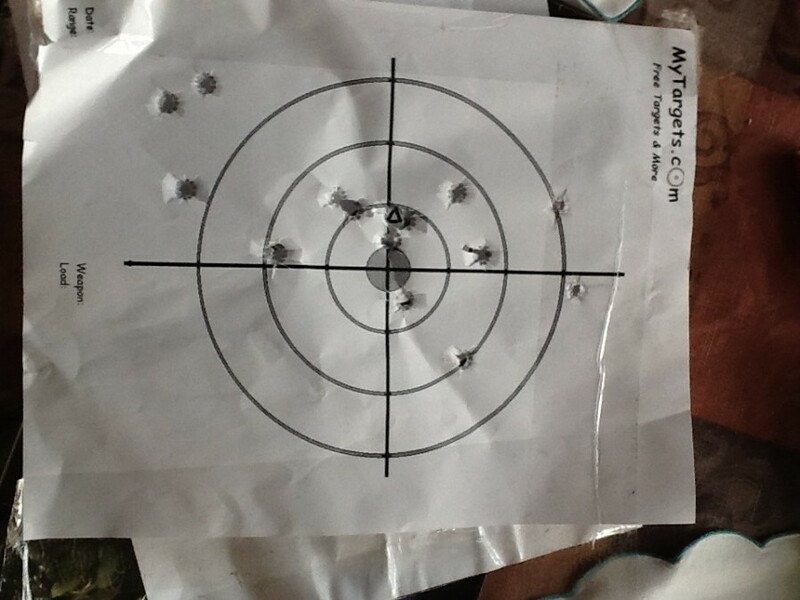 So we're going up to New Hampshire at the weekend, to a range, and he can try his hand at shooting. 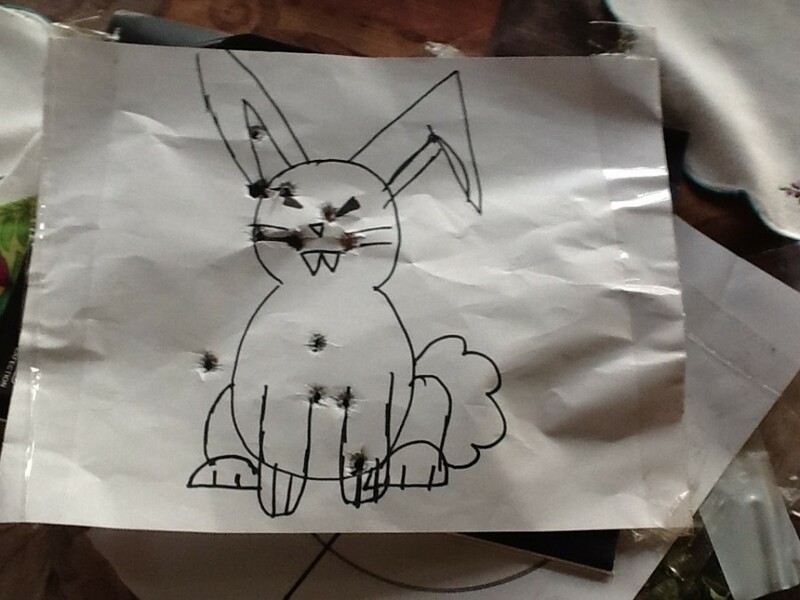 don't worry - that bunny would have not lived to be a threat to any more carrots after the first shot! I for one very much enjoy my guns. I blog about them fairly frequently, and I thank the founding fathers for their foresight in ensuring my right to bear arms. I enjoy reading about your venturing into the gun world, thank you for posting about it.